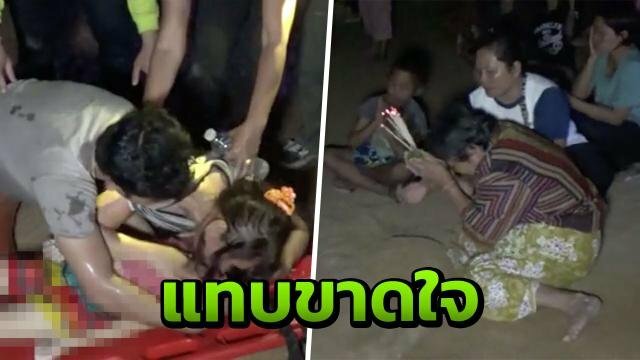 Three children drowned in the Chi River in Ubon Ratchathani’s Kuang Nai district on Sunday evening when they tried to save a drowning friend, police said. The Kuang Nai police station was alerted of the tragic accident at Wang Wern Beach about 300 metres from Ban Thai Hai villlage in Tambon Tha Hai at 5.17pm. The three victims were identified as Kittipat Chunet, 11, Kwanjira Sri-kerdkuen, 8, and Pattaranit Chaiyapornkulnarong, 9. Rescuers found the bodies at the bottom of the river shortly after the police station was informed of the incident. Another girl, Kemjira Srikerdkuen, 6, was rescued by her stepfather, Samrit Klinkhem. Relatives told police that the four children followed their parents to the river and went to swim while their parents were gathering edible vegetables from the river. One of the kids started to struggle and her friends rushed to help her but were pulled down into the water before the child’s stepfather, who was also collecting vegetables, could rush to their rescue.